Welcome to our rates page where we aim to keep you fully aware of all our costs at all times. All rates are subject to VAT at 20% and will be added to any rates given if the VAT is applicable. 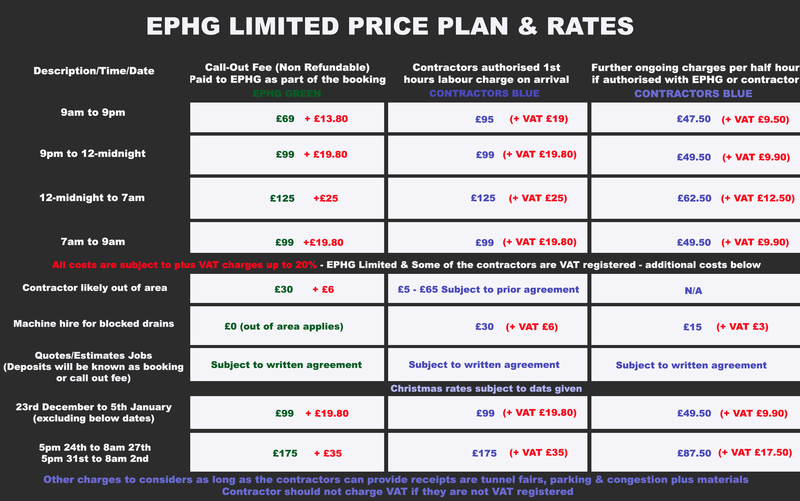 Just below is an image giving our call out fee deposit costs and the minimum cost of 1 hour paid directly to the contractor. Please note that our deposit payments are non-refundable subject to terms.  This means, as EPHG is VAT registered, additional VAT will be applied, however, not all contractors are VAT registered and may not charge you any additional VAT for there own costs. We may give you a discount of £10 leading up to the Christmas period, however, this will only go up to 14th December if applicable depending on your area. The discount also applies from January 7th onwards. The rates for an emergency within a driving distance of 30-minutes are £95.00 plus a call out fee of £69.00 for a domestic and does not include commercial as this could be suject to further costs. The rates for a commercial premises and between 30 to 60 minutes driving distance, the rates are £95.00 plus a call out fee of £99. If the commercial/domestic premises are over an hour away in driving, the rates are an additional £30 for the first hours labour (£125) for an additional £30 call out fee (£129). The rates for an emergency within a driving distance of 30-minutes are £99.00 plus a call out fee of £99.00 for a domestic and does not include commercial. The rates for a commercial premises and between 30 to 60 minutes driving distance, the rates are £129.00 plus a call out fee of £99. If the commercial/domestic premises are over an hour away in driving, the rates are an additional £30 for the first hours labour (£159) for an additional £30 call out fee (£129). The rates for an emergency within a driving distance of 30-minutes are £99.00 plus a call out fee of £69.00 for a domestic and does not include commercial. If the commercial/domestic premises are over an hour away in driving, the rates are an additional £30 for the first hours labour (£155) for an additional £30 call out fee (£129). The rates for an emergency within a driving distance of 30-minutes are £169.00 plus a call out fee of £169.00 for a domestic and does not include commercial. The rates for a commercial premises and between 30 to 60 minutes driving distance, the rates are £189.00 plus a call out fee of £159.00. If the commercial/domestic premises are over an hour away in driving, the rates are an additional £30 for the first hours labour (£215) for an additional £30 call out fee (£189). Please note that not all contractors are VAT registered.